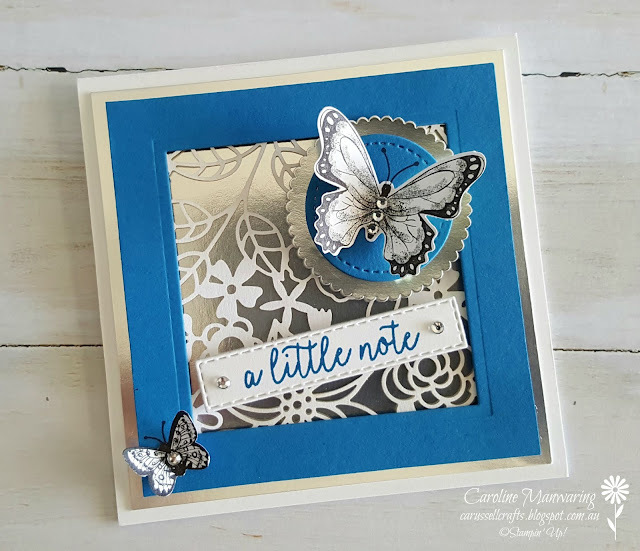 Hi everyone and welcome to Week 34 of our Colour Creations blog hop with the Art with Heart team. Tonight's featured colour is Pacific Point. 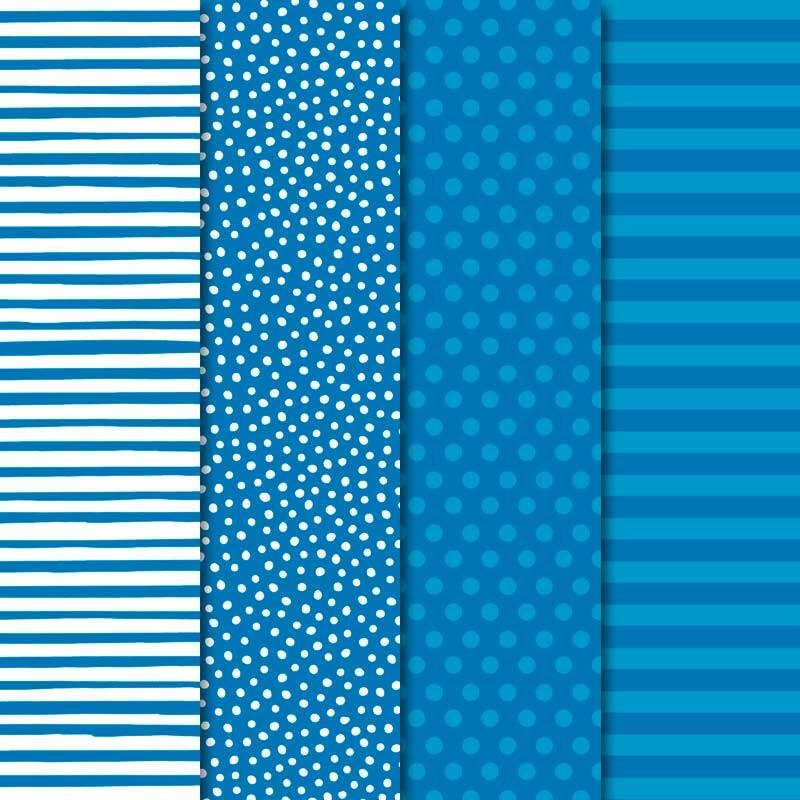 Pacific Point is one of the Brights family colours. It's a lovely vibrant blue, but I have to confess, one that I rarely use. So it was nice to create something with it for tonight's hop. 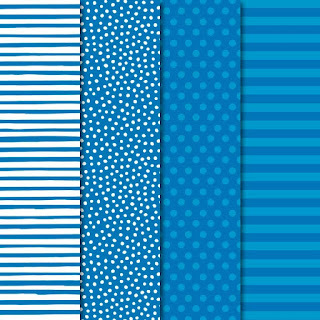 The Butterfly Gala bundle, and in fact the entire suite of Gingham Gala products, has proven to be a very popular suite in the Occasions Catalogue. Every item coordinates beautifully, but for my card I just used the stamp set and punch. I made quite a few of these little 4 1/8" square cards for our Heart of Christmas blog hop last year, and decided to use this size again, for tonight's card. Something else I rarely use, is the delicate laser-cut Delightfully Detailed specialty paper, I layered a piece of it behind a Pacific Point square frame that I cut with the Layering Squares Framelits. Using the butterfly punch, I punched out two butterflies, one large and one small, from the gorgeous Botanical Butterfly DSP that's in the Sale-A-Bration catalogue. This paper is FREE, with a $90 purchase from either of the Occasions or Annual catalogues. The sentiment was stamped in Pacific Point and die-cut with a Rectangle Stitched Framelit, and I attached the larger butterfly to a stitched circle backed with a scalloped circle of silver foil, to match the silver foil square mat. For a little touch of sparkle, I added a few clear rhinestones and just a light brush of Wink of Stella to the butterflies. Thank you for stopping by on your way around our hop tonight. 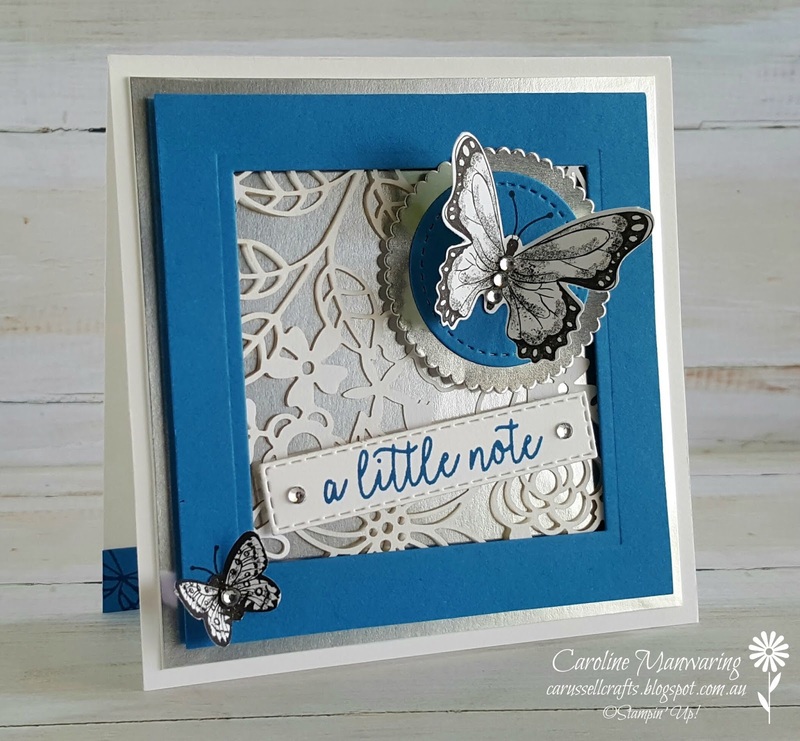 Jump over to Catherine's blog to see what she has created and you'll find a list of the team members that also participated in the hop. See you next Tuesday night, for another Colour Creations blog hop where we'll be sharing our Pear Pizzaz projects.